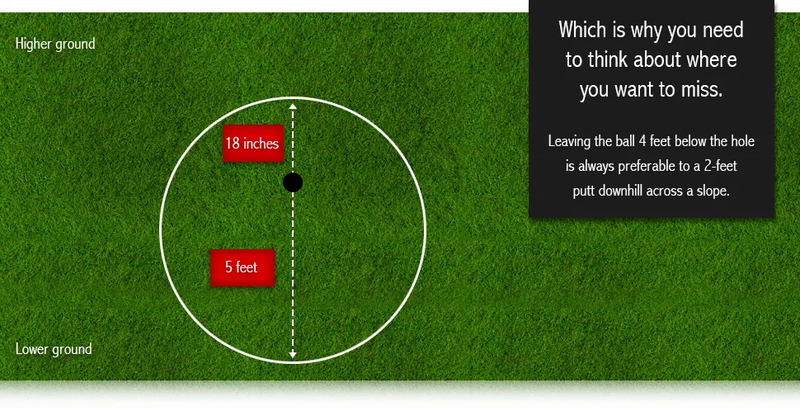 On longer putts, take a look at the ground around the hole and place your 3-foot circle very deliberately. Preparation like this will reduce your 3-putts. Come and have your setup and alignment checked, your stroke assessed, and your Putter evaluated for fitting. 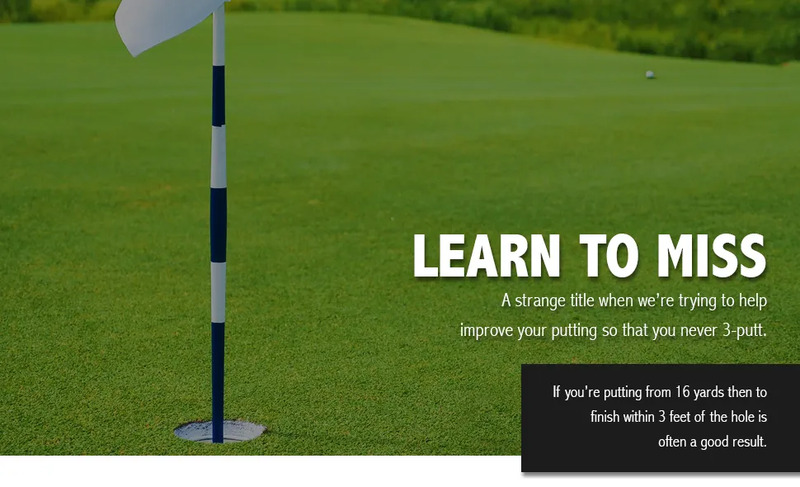 Become a better putter.